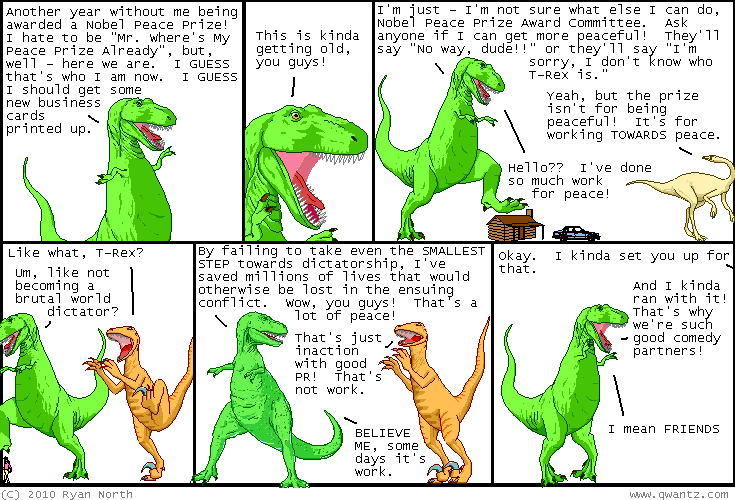 Dinosaur Comics - October 12th, 2010 - awesome fun times! The actual winner of the Nobel Peace Prize this year is a man who has worked towards democracy in China, is currently in jail because of that and whose wife has disappeared into government custody since the prize was announced. One year ago today: there's no extra picture hidden with THIS comic, sorry everyone!